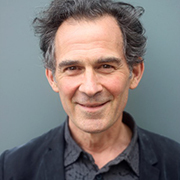 Join renowned spiritual teacher Rupert Spira as we explore the perennial, non-dual understanding that lies at the heart of all the great spiritual traditions, such as Advaita Vedanta, Kashmir Shaivism, Buddhism, mystical Christianity, Zen, and Sufism, and which is also the ever-present reality of our own experience. This is a contemporary, experiential approach involving guided meditation and dialogue, and requires no affiliation to any particular religious or spiritual tradition. All that is required is an interest in the essential nature of experience, and in the longing for love, peace and happiness around which most of our lives revolve. Rupert Spira from an early age was deeply interested in the nature of reality. At the age of seventeen he learnt to meditate, and began studying and practicing the teachings of the classical Advaita Vedanta tradition under the guidance of Dr. Francis Roles and Shantananda Saraswati, the Shankaracharya the north of India, which he continued for the next for twenty years. During this time he immersed himself in the teachings of P.D.Ouspensky, Krishnamurti, Rumi, Ramana Maharshi, Nisargadatta and Robert Adams, until he met his teacher, Francis Lucille, in 1997. Francis introduced Rupert to the Direct Path teachings of Atmanada Krishnamenon; Jean Klein and the tantric tradition of Kashmir Shaivism; and, more importantly, directly indicated to him the true nature of experience. Rupert’s has written four books which are all profound exploration of the non-dual nature of experience.